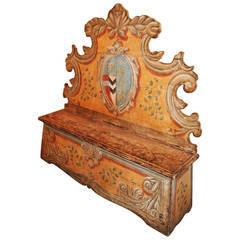 19th century painted Venetian bench. 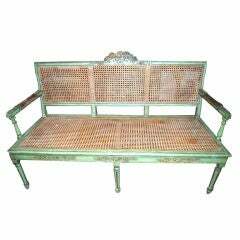 Pair of Empire style gilded and painted benches. 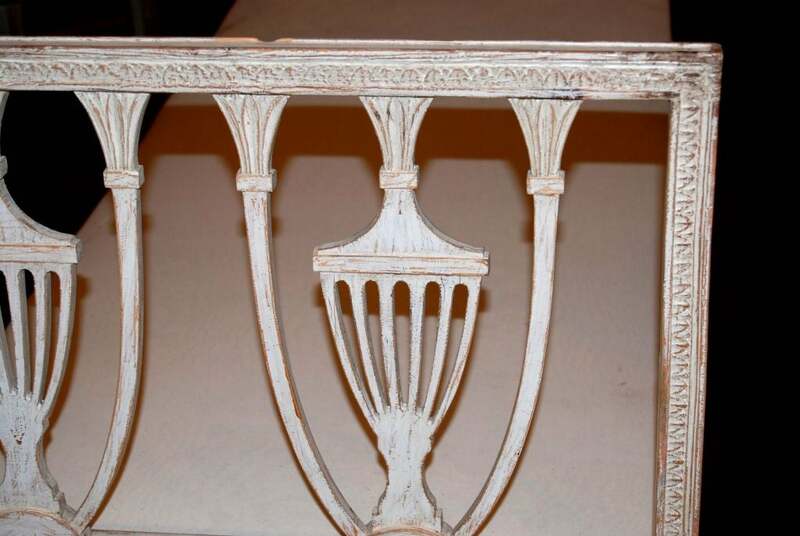 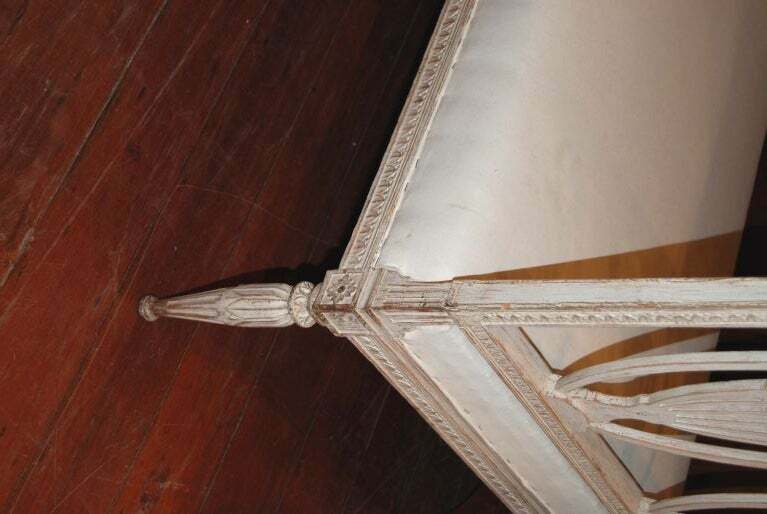 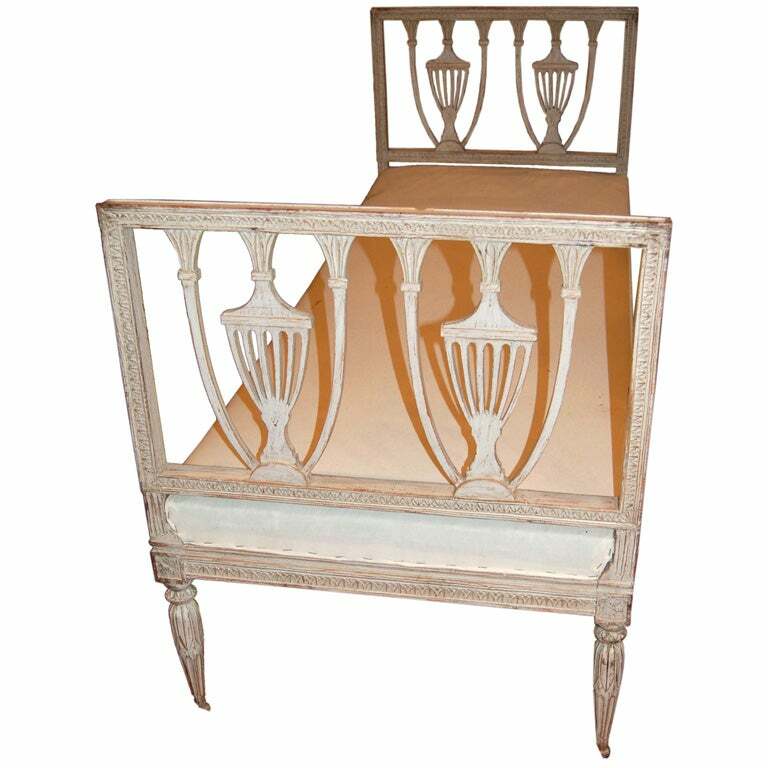 19th century Swedish Gustavian bench with carving around all sides and tapered square legs. 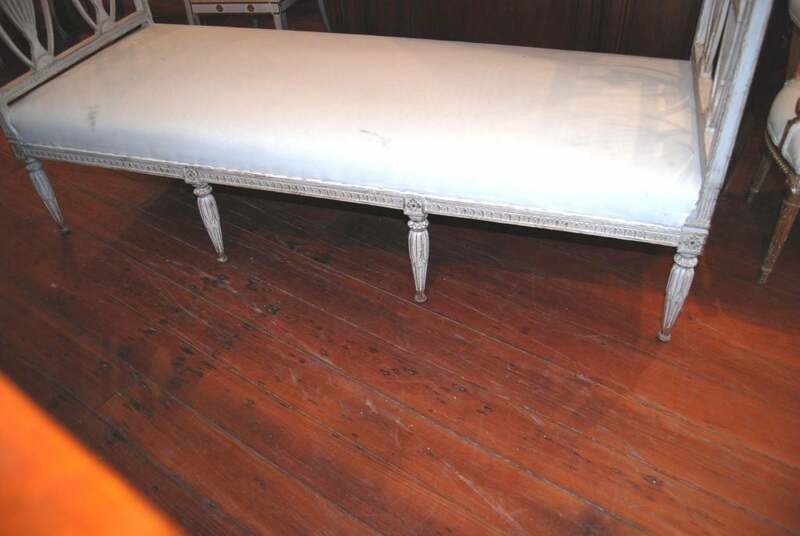 Pair of benches made during the 19th century in Sweden. 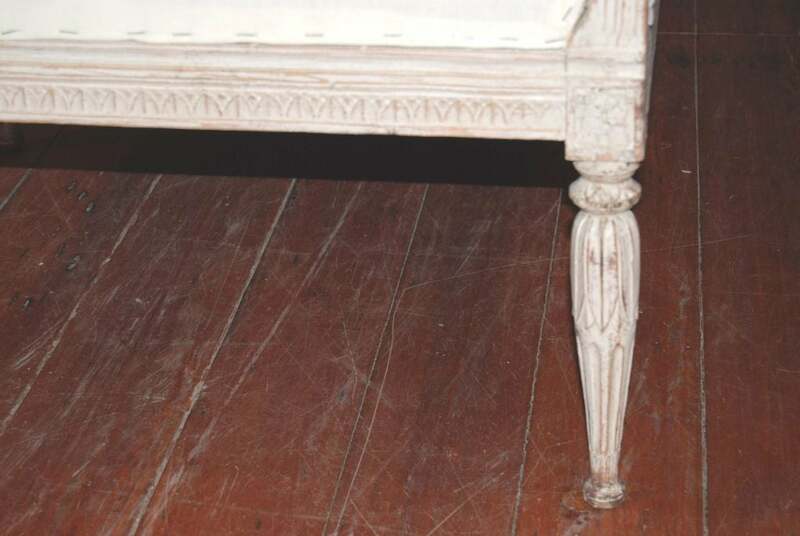 Pine. 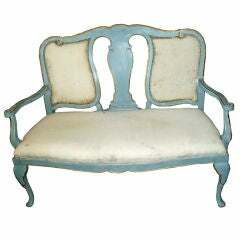 19th century Swedish green garden bench.